The Reign of Terror marked the end of the first season of Doctor Who and its making was fraught with particular difficulties at a time when the series' future was in the balance. As director Henric Hirsch attempted to record its six episodes in July 1964, the decision to renew the series beyond a proposed break still hadn't been made and its production at Lime Grove was also creating a number of logistical nightmares. On Terry Nation's recommendation, story editor David Whitaker turned to writer Dennis Spooner to develop a story which would replace an abandoned serial about the Spanish Armada. After completing his National Service, Spooner had briefly attempted to get a comedy double act career with Leslie Garbon off the ground. Comedian Harry Worth advised Spooner to try breaking into script writing after Spooner had sent him material on spec and this led to work on radio variety programme Workers' Playtime (BBC 1941-64) and television scripts for Coronation Street (ITV 1960-) Bootsie and Snudge (ITV 1960-63) and Tony Hancock's attempt to revive his television career in ITV's Hancock in 1963. Spooner met Nation during the 1950s while both were scripting radio shows. By the time Whitaker approached him, Spooner had also made the transition to writing for children's television programmes and other prime-time dramas. He had amassed significant writing credits on a raft of Gerry Anderson productions, including Supercar (ITV 1961-62) and Fireball XL5 (ITV 1962-63), and completed a number of contributions to The Avengers (ITV 1961-69), No Hiding Place (ITV 1959-67) and Ghost Squad (ITV 1961-63). In March 1964, he met with Whitaker to discuss a proposed story set in 1794 and during the French Revolution, an idea originally suggested to Whitaker by William Russell. Spooner would eventually replace Whitaker when he left the series in October of that year and in August he was already officially trailing Whitaker as the penultimate episode of The Reign of Terror was being recorded and as he prepared his last production as story editor, The Dalek Invasion of Earth, a serial eventually held over for the start of Doctor Who's second season. The Reign of Terror was commissioned in April 1964 and planned as the story that would open the second season with a proposed six-week break in production after The Sensorites. However, the story ended up as the last of the first season when Chief of Programmes Donald Baverstock curtailed the production break and planned it for later in the year. After many production wrangles with Lime Grove's studios, which were still proving to be unsuitable for the production of the series and accommodating its large scale sets, it was agreed that not only could Doctor Who avail itself of the smaller TC3 and TC4 at Television Centre but production could be moved to Riverside Studios in Hammersmith. The first four episodes of The Reign of Terror, which went into studio in July 1964, were recorded in the narrow confines of Lime Grove Studio G and the remaining two were mounted at TC4, much to the relief of cast and crew who were struggling in the hot, cramped conditions at Lime Grove. The scripts were also structured to allow for William Russell's holiday break and his brief appearances in episodes two and three were filmed at Ealing Studios prior to his absence. This filming also included the model shots of the burning farmhouse for episode one. This also marked Doctor Who's first journey beyond studio confines with location filming taking place at Denham Green after Production Assistant Tim Combe was requested to track down an appropriately 'French looking' avenue of poplar trees as the backdrop to the Doctor's walk to Paris in episode two, 'Guests Of Madame Guillotine'. 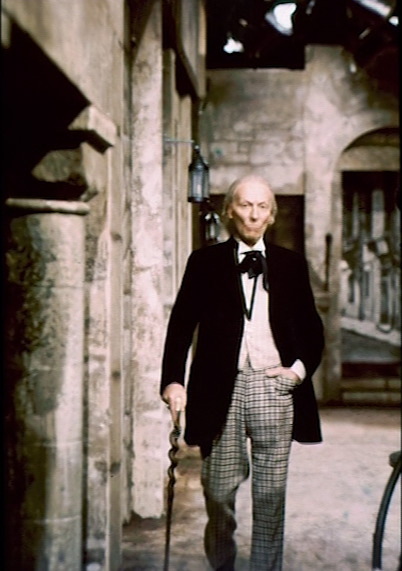 Stand in Brian Proudfoot emulated Hartnell's mannerisms and walk during the June location shoot, derived from close observations of Hartnell during recording for The Sensorites and much to the lead actor's irritation according to Carole Ann Ford in the DVD's documentary. Considering the problems, in hindsight it is a wonder why Hungarian émigrée and experienced theatre director Henric Hirsch was chosen to direct The Reign of Terror. His selection was at Verity Lambert's suggestion after she'd seen his work, either on an edition of First Night 'Goodbye, Gloria, Goodbye' (transmitted in March 1964) or Festival's 'Bloomsday' which went out on the 10 June. As the DVD documentary and Tim Combe's commentary suggest, while working on these plays he was used to plenty of rehearsal time and a stately pace for studio recordings and hadn't had much experience directing television, having only recently completed the BBC's director's course when the Doctor Who gig arrived. 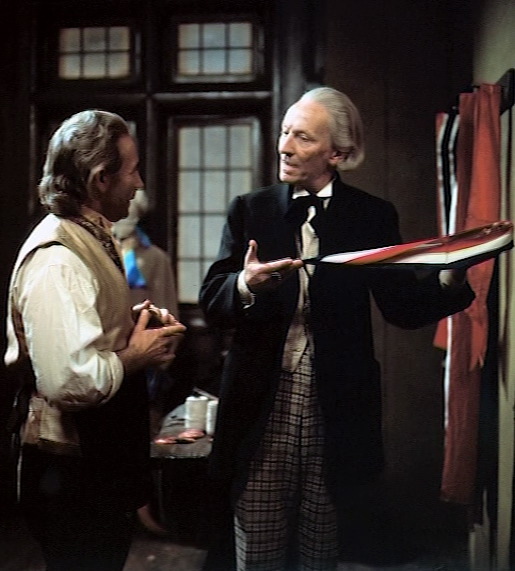 Reportedly not enamoured of Doctor Who as a series, he apparently didn't hit it off with Hartnell, the mounting pressure of the schedule and technical complexities severely affected him and Combe found him collapsed from nervous exhaustion after being taken ill during the recording of episode three 'A Change of Identity'. No one is quite sure who directed episode three and Combe suggests either John Gorrie or Mervyn Pinfield took the reins until Hirsch recovered to oversee the final three episodes. Gorrie's name was apparently on the paperwork but he had always disputed his involvement. Despite this, Hirsch's work on the serial is solid and competent if heavily influenced by his theatrical experience. 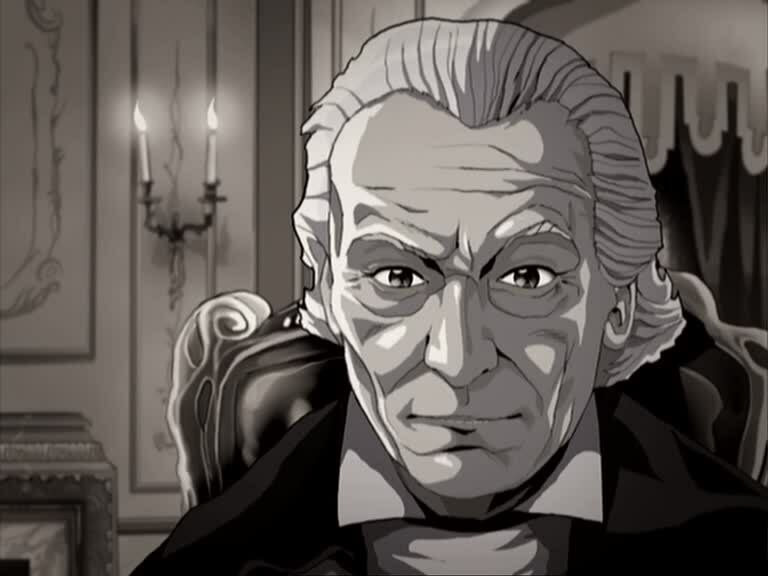 As The Reign of Terror completed recording, Donald Baverstock decided to renew Doctor Who for a further thirteen episodes and the next two stories due to be recorded, Planet of Giants and The Dalek Invasion of Earth, would thus be held over to open the second season after a seven week break that followed the transmission of The Reign of Terror episode four 'Prisoners of Conciergerie' on 12 September 1964. Dennis Spooner certainly sets about putting his own idiosyncratic stamp on the historical serials by mixing up the period drama with some highly enjoyable whimsy and dark humour. Borrowing heavily from Baroness Orczy's The Scarlet Pimpernel and Dickens' A Tale of Two Cities (cackling peasants, dank prison cells and guillotines are present and correct) and capturing something of the early Bond films in the story's concentration on espionage, code names and double agents (Stirling... James Stirling), Spooner also manages to transmit some of the fear and paranoia running through Revolutionary Paris, providing a sense of intrigue and danger about who of the many supporting characters are friends or foes of the TARDIS crew, or both. The series' view of history also alters little here even though Spooner would eventually refashion it. In Marco Polo, the past was both educational and a mysterious, spectacular place to visit and in The Aztecs history was used as a lesson about altering the course of time and attempting to change a civilisation's destiny. Heavily influenced by David Whitaker's dictum on non-interference in events, The Reign of Terror proposes that historical events are something our time travellers simply have to survive through and where, as the Doctor explains to Barbara, "the events will happen just as they are written... we can't stem the tide but at least we can stop being carried away in the flood." However, that attitude would change completely once Spooner took over as story editor and meddling in history was, soon after, up for grabs. The First Doctor still retains an element of danger about him, is still the alien with a steely purpose and even here at the end of the first season the character continues to gather form, often surprising the viewer with his attitudes and actions. The TARDIS scenes in the 'The Land of Fear' show a gruff, quite rude and irascible Doctor so the process of his mellowing that will come to the fore in later seasons isn't quite complete. However, humour also becomes part of that process and it's there at the beginning as Ian and Barbara mock the Doctor's ability to control the TARDIS. Barbara brushing down the Doctor's coat and putting her arm around his shoulder is a witty and tender moment. As Andrew Pixley notes, "When pacing his scripts, Spooner opted to use humour for selected scenes in order to break up what he felt was a very long plot" and certainly the characters of the overseer and the jailer provide these breaks. The other surprising thing is how brutal the humour is, epitomised in the scene at the roadside where the Doctor wallops the greedy overseer over the head with a spade and then places coins in his eyes and, later, when he similarly assaults the jailer. This again not only exploits Hartnell’s talents as a comic actor but also parallels the Doctor's motivations in An Unearthly Child where he used violence to solve an immediate problem. 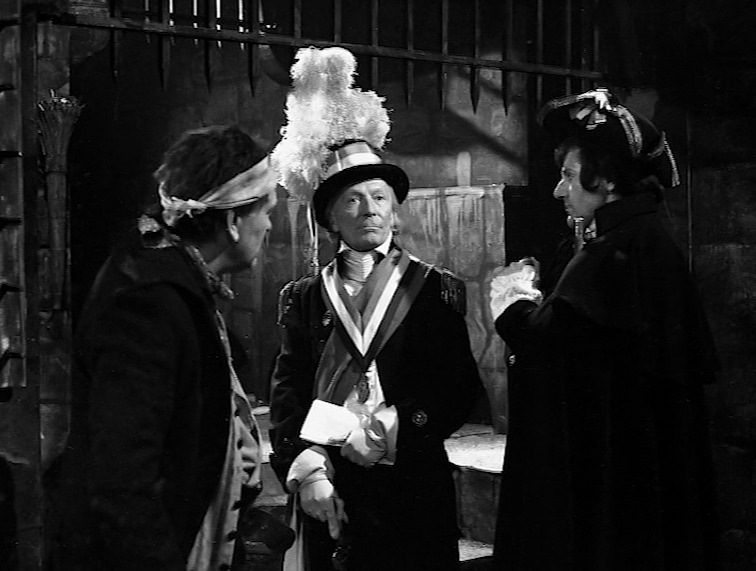 Hartnell’s at the height of his powers again and seizes the script’s emphasis on the Doctor’s mischievous, mercurial qualities in the bleakly witty scene where he tricks the works overseer at the roadside and in the way he haggles with the tailor to acquire his period costume or hoodwinks the jailer at the Conciergerie. The scenes with the jailer, where he's vainly sporting the outrageous hat and costume of Regional Officer of the Provinces, provide a visual and verbal treat. It also helps that he's sparring with the likes of Dallas Cavell as the overseer and the Yorkshire accented Jack Cunningham as the jailer. Humour is vital because it gives Hartnell a chance to shine and add some sparkle to what are rather grim proceedings. 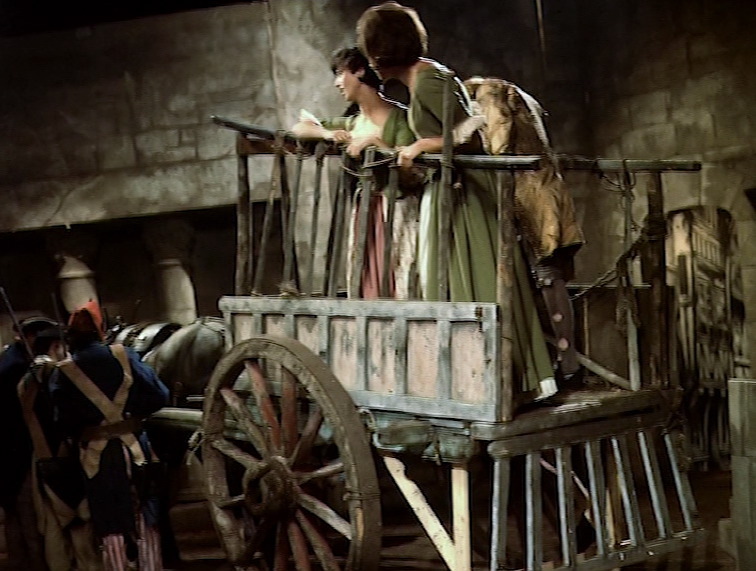 'The Land of Fear' shows grim reality enclosing around the characters as the French farmhouse they explore is raided by Robespierre's troops and then burnt to the ground but by 'Guests of Madame Guillotine' Jack Cunningham's jailer is coming on to Barbara in a cloud of bad breath (watch Jacqueline Hill's reaction to the old lech) and the Doctor's tramping across Buckinghamshire-en-France to some jaunty tunes courtesy of Stanley Myers. The contrast is enhanced visually when Henric Hirsch also juxtaposes a shot of the Doctor being forced to wield a pickaxe with the tax dodgers at the roadside dig and Barbara's efforts to hack her way through the prison cell wall. However, poor Susan is down in the dumps and, boy, she lets us and Barbara know it, with the result that Barbara points out, "I've never heard you talk like this before, You're usually so optimistic." Carole Ann Ford does what she can but it is clear the writers, including Spooner and Whitaker, have run out of ideas for Susan and judging by the material here it is little wonder Ford decided to leave the show shortly after. It's also a bit rich that Ford was told off by Henric Hirsch for being too maudlin in her acting and her justifiable reflection of Susan's sorry predicament. Susan spends pretty much all of The Reign of Terror as a weak, whingeing and pathetic creature rather than the super clever, resourceful alien woman she should be and Ford wanted her to be. She’s rubbish at digging out of her prison cell while facing the resident rats and when the chance comes to escape from the tumbril taking her to the guillotine she complains she’s got a headache and flops around all over the place. That the character gets sidelined into a prison cell thrice in one story is obviously symptomatic of the writers not knowing what to do with her at a time when, as Donald Baverstock was vacillating about his decision to renew the series, he was also discussing the fates of Susan and Barbara in the series if it did continue. At this point Hartnell has certainly become the centre of the show and two foils, in the form of Barbara and Ian, seem more than adequate to provide audience identification. 'A Change of Identity' witnesses a similar change of gear in the story and an intriguing guessing-game of 'spot the traitor' begins with the introduction of Lemaitre (James Cairncross), Léon Colbert (Edward Brayshaw sporting some swish threads), and double act Jean and Jules (Roy Herrick and Donald Morley). The foetid conditions of the Conciergerie are briefly replaced by candle-lit interiors and intimate conversations over wine and maps. 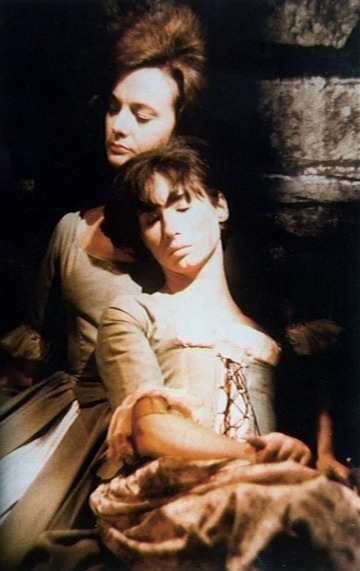 Sadly, The Reign of Terror was one of the many victims of the BBC's archive purges of the 1970s and episodes four and five - 'The Tyrant of France' and 'A Bargain of Necessity' - were not retained and we have a much reduced appreciation of performances and production, particularly Keith Anderson's turn as Robespierre. However, these episodes have now been animated, a co-production by animation company Theta Sigma, Big Finish and Pup, and we can now watch a visual approximation of the soundtrack. 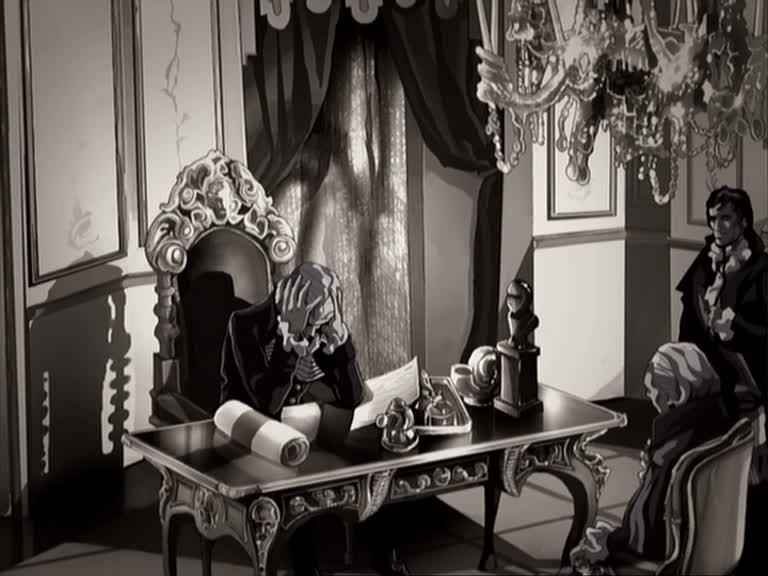 The animation is stylish, particularly resembling 18th Century woodcuts in the use of heavy shadows and areas of white and grey space to define faces, but it is limited. The backgrounds, depicting the interiors of Jean's house, Robespierre's office and the prison are the highlights of the work undertaken. One of the oddest things about the animation is how the eyes of the characters look and react. They roll around a little too enthusiastically and seem very glassy, as if everyone's been on the vino. Still, the efforts here are very worthwhile and capture the atmosphere of the story well, driving it forwards effectively enough. These dialogue heavy animated episodes tend to be driven by a reliance on cutting between close ups of faces, often reduced to extreme views of mouths and eyes, and the feel of these two episodes, by their very nature, is quite different from the originals that survive. As their own 'bargain of necessity' they tend to be focused on delivering the dialogue as economically as possible rather than attempting to faithfully replicate a camera script. Henric Hirsch didn't use many of these close ups and or much brisk cutting for example but then it probably would have been far more time consuming and expensive to try and replicate the visual flow and timing of scenes à la 1964. Roderick Laing's set designs tend to be divided between the well executed, candle-lit period interiors and the less successfully realised exterior streets and jail cells. The downside of restoring these episodes is having the latter revealed too readily as painted flats, their lack of dimensionality often betraying their theatricality. They still generate an appropriately squalid, gritty and tangibly claustrophobic atmosphere and help to define the drama but realism isn't their strongest quality. Daphne Dare provides some superb costumes too, from the flamboyant frills of the revolutionaries and royalists to the grungy, dirty looking attire of the jailer and the peasants. As the story progresses, Spooner avoids piling in loads of research about the French Revolution and simply attempts to tell a rollickingly good adventure story using certain elements of historical fact (or not) to provide verisimilitude along the way. However, he does mix the personal and the political in the affection between Barbara and Léon which takes on a dramatic turn when he is revealed to be a traitor. Barbara and Ian's argument about judging people by their causes provides an anchor within the turbulent times the companions find themselves in. The subject matter doesn’t have the glamour of Marco Polo and The Aztecs and six episodes probably wouldn’t do it justice if the story adhered rigidly to the political complexities of the period. Spooner therefore relies, perhaps slightly unsatisfactorily if you're an ardent history buff, on a presentation of the situation that is, forgive the pun, very black and white, making the royalists the good guys and the revolutionaries the baddies. Barbara does try and address this by arguing that the revolutionary cause and the revolutionaries were far more complicated than actually presented here, especially in light of Ian's pragmatic attitude to the shooting of Léon. 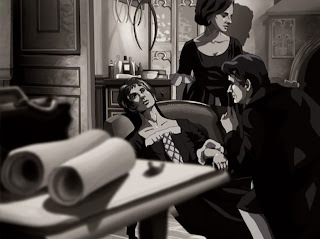 When Spooner connects Napoleon directly with Robespierre’s downfall, it is merely an instance of dramatic licence to add a bit of flavour to the final episode which is primarily Ian and Barbara having a thrilling time undercover as inn-keepers. This licence provoked some complaints to the Doctor Who production office from the Napoleonic Society decrying the Emperor's involvement in the events at 'The Sinking Ship' inn. Mind you, Robespierre getting shot in the gob at the end of 'Prisoners of Conciergerie' is factually accurate so what you lose on the swings you gain on the historical roundabouts. 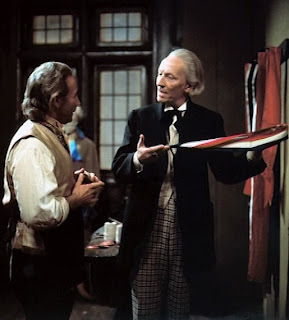 As well as the excellent work from Hartnell, there are a couple of stand out supporting characters too. His comedic manipulation of Jack Cunningham's Yorkshire jailer is an undoubted highlight and Cunningham is brilliant as the jailer, swerving between truculence and sycophancy. James Cairncross is perhaps rather theatrical, verging on the wooden, as Lemaitre but, dare I say it, he's quite 'Stirling' support and Edward Brayshaw is very suave and dissembling as Léon. It is a genuine shock when he turns out to be a traitor. Tony Wall also makes an effective Napoleon in the final episode. William Russell and Jacqueline Hill are solid as a rock next to Hartnell and Hill is one of the series' greatest assets in these early stories and gives a rounded, warm and compassionate performance here. This is a grim, black humoured story and it does outstay its six episodes despite Spooner's efforts to keep the gears of the story moving along but the whole is bookended by some heartwarming repartee between the Doctor and companions that puts a definitive seal on the first season of the series. That lovely voice over at the end of episode six, against a backdrop of stars, says it all: “…our destiny is in the stars, so let's go and search for it”. Toby Hadoke moderates a fascinating batch of commentaries. It's a revolving door of guests that starts with Tim Combe, Carole Ann Ford and Neville Smith (the ill-feted Dargenson of episode one). Combe is highly informative about his work on the story and the crisis that faced director Henric Hirsch and he's worth listening to. Ford recalls the team spirit of the quartet she was part of and the initial success of the series. They are joined by Jeffrey Wickham (the equally ill-feted Webster who snuffs it in his prison cell) for episode two and he evokes fond memories of telesnapper John Cura and an appreciation of Stanley Myers' score. 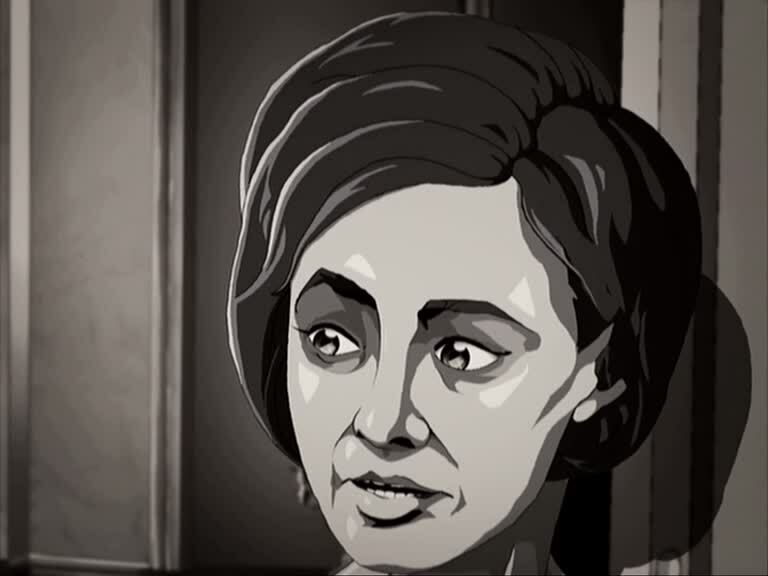 Caroline Hunt (the maid Danielle) pops in for the third instalment and dredges her memory about what was her first television job and the conversation with Combe returns to the directing of this episode which resulted in Hirsch's collapse and whether John Gorrie or Mervyn Pinfield eventually picked up the reins. The animated episodes offer something of a change: 'The Tyrant of France' is a conversation with acclaimed actor Ronald Pickup who played the duplicitous physician in the episode and it's an evocative chat about his early career and skills as an actor; 'A Bargain of Necessity' features missing episode hunters Paul Vanezis and Philip Morris and an intriguing personal history of recovering lost television, including what remains of The Reign of Terror and other gems from the Cyprus Broadcasting Corporation. For anyone interested in how such recordings were recovered it is essential listening. 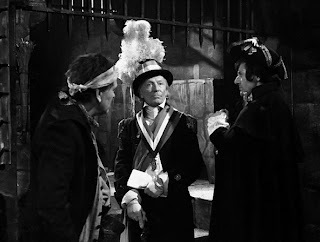 Last episode 'Prisoners of Conciergerie' features Patrick Marley (a briefly seen soldier) with Combe and Ford. Another of Chris Chapman's fascinating featurettes takes you behind the scenes on The Reign of Terror with actors Carole Ann Ford, William Russell and Production Assistant Tim Combe. This covers the trials and tribulations that director Henric Hirsch encountered working on the serial and how Combe found locations in Denham and eventually had to share much of Hirsch's burden. He also contemplates the question of who completed the work after Hirsch fell ill during the recording of episode three. Russell and Ford chat about their admiration for the guest cast, recall navigating leaking, bucket strewn rehearsal rooms, the cramped studio conditions at Lime Grove and Hirsch's abrasive relationship with Hartnell. Overall, an illuminating exploration of the strains and stresses of recording television in the early 1960s to which Combe in particular makes a significant contribution. A show reel of the excellent animated backgrounds created by Austen Atkinson's Theta-Sigma animation company. Providing a tour of the recreated sets, this demonstrates some of the period detail that went into the backgrounds for the two animated episodes. Great selection of colour and black and white production stills. The colour material is particularly lovely and there are plenty of images of Roderick Laing's sets for the interiors and streets. Character and costume sketches and a series of frames from the animated episodes. Essential reading about the 'televising of the revolution' courtesy of Nicholas Pegg who provides a flood of details about the production, the script, the cast and crew and the eventual fate of Doctor Who in August 1964. Radio Times listings for all six episodes and a brief preview of the story. 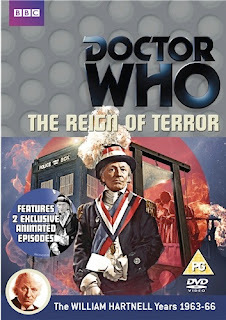 The Reign of Terror is a real favourite of mine, although I'm more familiar with the thrilling novelisation. There's such a sense of peril and danger in those '60s "historicals", something "Junior Doctor Who For People Who Read Heat Magazine" (aka the Matt Smith/Moffat series) never has. Thanks, Zee. The story is something of a transition between the likes of 'The Aztecs' and what would come in 'The Romans' and 'The Myth Makers'. It's worth sitting through for Hartnell's performance and his interaction with the likes of Jack Cunningham.